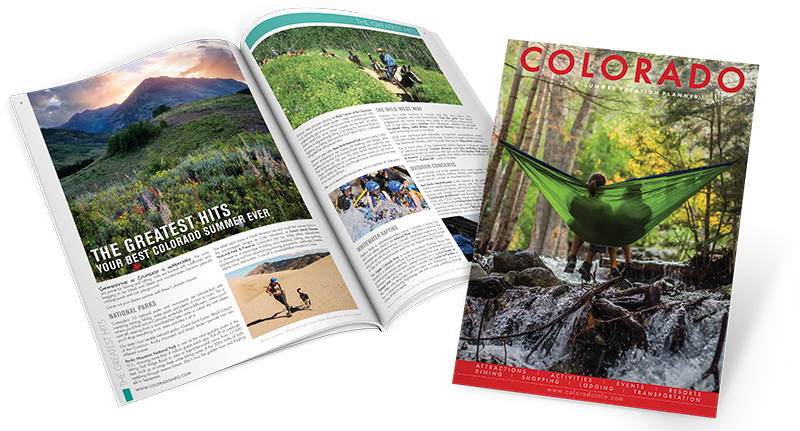 Below is a curated collection of Colorado vacation planning guides, containing trip planning inforrmation for every corner of the state – including maps, coupons, events, historical information, and previews of many Colorado attractions. We have a variety of vacation guides that can be viewed online or shipped directly to your home FOR FREE. (Sorry, no international shipping at this time.) After selecting the guides and additional information you would like, please complete the request by viewing your cart and checking out. If you have specific questions or want to be in touch with a vacation planning expert, be sure to select "email more info" for your category of choice! Happy Colorado vacation planning!